Ibrahim Samy Sayed Saleh is a teaching assistant at the Architecture and Urban Design Department at the GUC since 2012. Ibrahim graduated from Architecture Department, Faculty of Engineering, Cairo University in 2010 with honor rank (10th) with his Graduation Project awarded the architecture department’s Best Environmental Graduation Project prize, he continued his master studies in Cairo University in 2011 doing the Pre-Master courses in Environmental Control And Energy Efficiency In Buildings (ranked 1st) and finished his master thesis ‘SCHOOL DESIGN THROUGH PARTICIPATION – with Reference to Children in Primary Education’, at Cairo University, under the supervision of Prof. Dr. Ahmed Abdin in January 2015. Ibrahim is a passionate architect taking part in many international workshops with different topics including: Urban Upgrade, Sustainable Building Skins, Desert-Oasis Architecture, Democratic Public Space, Improving Schools …etc. He is also active in the professional field being involved in many design projects in Egypt, KSA, and Libya. These projects cover a variety of building typologies such as: Sports Club, Library, Training Center, Recreational Complex, Research Facility, Residential Villa, Mall, School, Conference Hall, Pavilion, and Office Buildings. His research interest includes community based participatory design and upgrade projects, educational buildings’ design and upgrade, traditional construction techniques, and traditional architecture. Maha El Gewely is an Instructor in the Architecture and Urban Design Program at the German University in Cairo. She has an MSc in Architecture from Faculty of Engineering, Alexandria University where she has attained her BSc degree and worked as a Teaching Assistant. She worked also in Misr International University (MIU), Cairo campus. Her Msc thesis is about Algorithm Aided Architectural Design which discusses computation in juxtaposition and integration with Architectural design process. Her research interests direct to parametric design, responsive spaces and rapid prototyping. She participated in many workshops focusing on her research interests such as; HyperspacedB with AA school 2013, Paramoire with Encode Studio 2012 and Construction Aware Design with AUC and KAUST 2011. Menna Tawfik is an instructor in the Architecture and Urban design Program at the German university in Cairo. She completed her MSc in urban design and urban development in 2015 in “Compact cities: As Basic model for sustainable urban form” at Cairo university. Previously, she graduated from Cairo University in 2010, where she has also a previous teaching experience as well. Research interests are in urban design and landscape that include the high density of urban form, rebuilding communities for resilient and sustainable development, revitalization of open spaces, retrofitting the urban sprawl in new communities. She also participated in different intensive urban workshops and summer schools that related to her field of interest in Aswan in Egypt, Stuttgart, Barcelona which are more specific in sustainable qualification, democratic open spaces, integrated strategies for sustainable urban development, waterfront urban development and Eco-Cities. She has teaching experience in many courses in the GUC; urban design courses, visual arts, architecture drawing, some electives courses and Architecture design courses as well. Menna is currently PHD student in the urban design program in Cairo University, the research focus on “sustained the urban spatiality in new communities”. 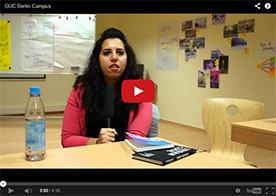 Rania is a teaching assistant at the Architecture and Urban Design Program at the German University in Cairo. She has a BSc in Architectural Engineering and Building Technology from Faculty of Engineering Cairo university Credit hours system in 2011. Rania continued her MSc studies in Cairo University in 2013 doing the Pre-Master courses in Environmental Design and finished her thesis “Using Project Management to Enhance Construction Practices in Egypt, Special Emphasis on Construction Waste Management” under the supervision of Prof. Ayman Hassan in 2015. Rania has worked for several architecture and construction firms like Space consultants, IEDG consultants, Consultant Engineering Group and The Association of Friends of the National Cancer Institute where she worked in the design, design development and project management departments. Rania also has previous teaching experience in different courses such as integrated design, environmental design, project management, and graduation project. Rania’s research is mainly focused on the project management, waste management and Construction management.